Ties are a very popular topic among most men regarding wardrobe. Most men either love wearing them as a way to showcase their personal style and personality, while many others are “forced” into tie wearing due to the nature of their profession or workplace dress code. Regardless of your feeling and perspective towards neckwear, there are some standard topics to cover. Ties usually are focal points of a look, as they are very noticeable due to where they are placed, as well as factors such as colour, texture, pattern, etc. Generally, adding a tie to an ensemble creates a more formal look, although by way of more casual variations available as well as the way the modern man is now wearing ties, they may be incorporated into quite casual looks. There are a ton of tie variations available in the market currently, including different fabrics, textures, colours, patterns, and widths. In regards to fabric, texture, colour, and pattern, it is important to consider what you will be wearing it with. The weight of fabric is one of the easiest factors to consider, as it is a general rule to pair heavier weighted fabrics (ie. wool, tweed) with heavier suits or jackets suitable for fall and winter, while lighter fabrics should be paired with lighter summer suits and jackets. Colour and pattern should compliment the rest of the outfit. Although the tie is a focal point, it should not stand out far beyond every other item, but rather anchor the entire look and bring it all together. The width of the tie is a factor that should certainly be considered. 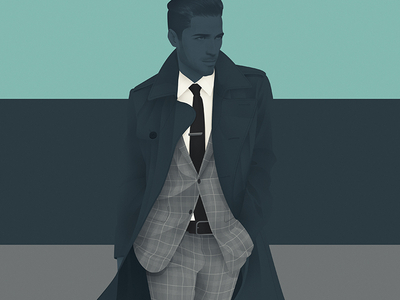 Fashions perpetually change, and therefore tie trends evolve as well. Currently, a thinner tie is considered modern yet “classic”, although there is no specific dimension to use as a rule. Proportion is of primary importance, with a general guideline being that the tie at its widest point should be about the same width as the lapel at its widest point. Therefore, if you are looking for a very modern and overall slim look, your tie will reflect that, whereas if you are looking for a fuller look with a wider lapel, your tie will be slightly wider as well. You also want to take into account the situation you will be wearing the tie, as “skinny ties” in some work environments are completely inappropriate. However, if you stick with the general width guide according to lapels, you should be safe. Once you choose your tie, it is necessary to think about the knot you will be using. The knot is a significant focal point in your entire look, so it is a good idea to put some thought into this choice. Similar to tie width, your knot should be proportionate to all the factors it is working with. Your knot choice should take into account tie width, collar style and spread, overall style of your look, your body type, and situation. If the knot is proportionate to all these factors, your tie will make the desired statement and really compliment and enhance your overall look. 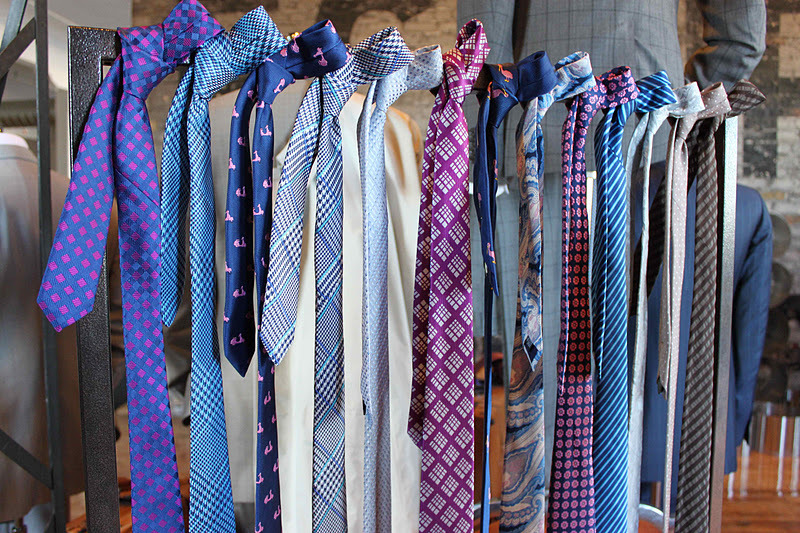 Use your neckwear to work for you, by enhancing your overall appeal and making the desired statement. Make sure the tip of the tie hits right at your beltline for a modern yet classic look. Keeping proportion and balance in mind will create a cohesive ensemble that will be sure to make a lasting positive impression, regardless of environment.